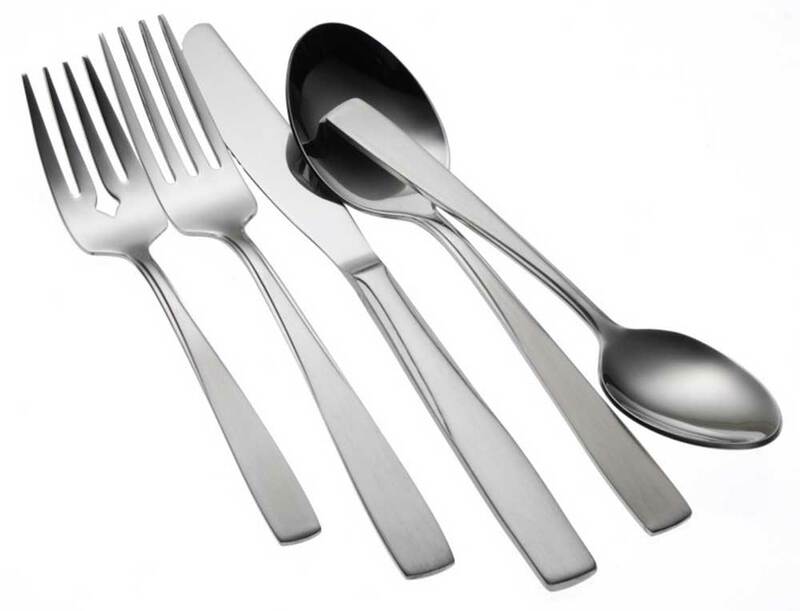 Understated and uncomplicated, Oneida Rio flatware pattern offers clean lines and simple styling. Carefully weighted and balanced for comfort, Rio's smooth finish is universally appealing. Constructed of 18% chrome stainless steel and 10% nickel - giving it a superb finish and long lasting durability.